How do you make sure you invest your hard earned money in the right kind of technology? You trust the market leaders of course. That’s vital if you’re looking for thermal imaging units. You need state of the art technology if you want accurate results for such intricate work, right? 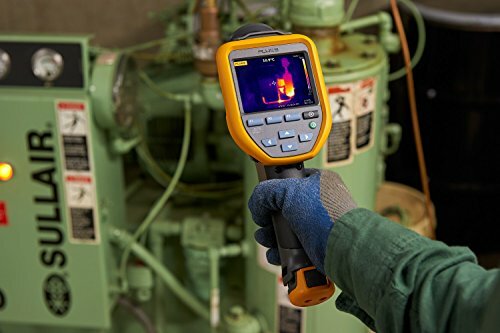 That’s why we looked into Fluke’s range of thermal imagers. This brand has been around for quite a while. The question is whether they kept up with the latest tech developments. 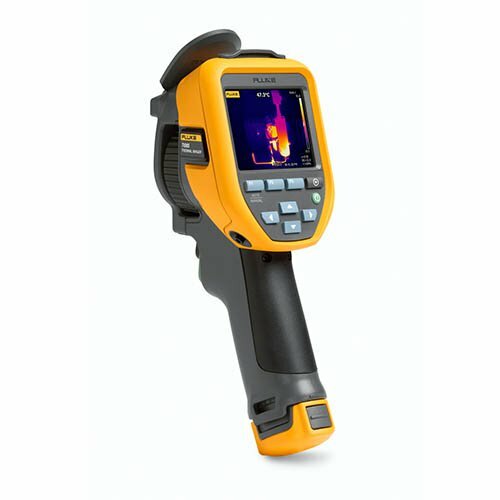 Read on to find out and see if your next thermal imager can be found in their unique range. We also put together a list of the best budget thermal cameras if price is your number one priority. There’s no question that Fluke has experience in today’s market. After seven decades one can trust the experience provides the company with insight to manufacture some of the best items on the market. These values drive the company today. Fluke has undergone many changes and expanded its activities over the years. Today it’s a subsidiary of Fortive Corporation. As part of this entity Fluke is a multi national company with manufacturing sites in three different continents. Its authorized distributor and manufacturer representative channels are in more than 100 countries. What does all this tell you? Fluke has the expertise and market insight to produce quality products, as well as the resources to make them some of the best in the world. Since 2008 Fluke used this background and resources to develop even more products in diverse technological fields. 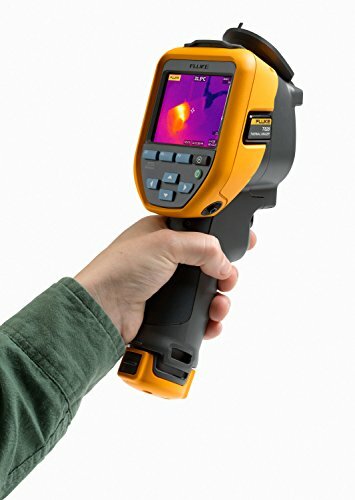 Some of the newer products are thermal imaging units and below you’ll see some of their best. But why is this such a popular field and why should you take notice? Chances are you don’t know yet how one of the models below can make your life easier. This applies to personal use, as well as a variety of industrial applications. 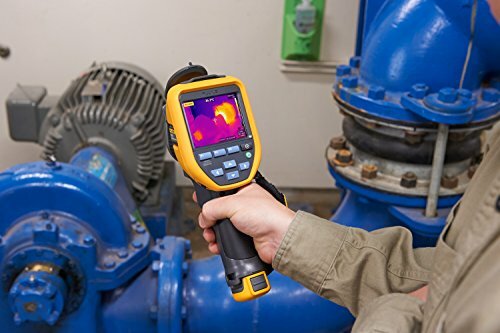 Firstly, you should know what thermal imaging is and makes possible. The machines use systems based on the science of infra-red technology. Objects you aim a thermal imager at will reflect the infra red light. This relates to the amount of heat an object radiates which is usually more than the environment around it. The machine analyzes and converts this data into an image for you to see. This can make a scene with very low visibility—such as in darkness, during fog or when there’s smoke—become exponentially clearer. To help security personnel or the police view details about a scene before taking action. To enhance security equipment as thermal imagers can be added to CCTV infrastructures. There will be much more detail so security teams can take action sooner or have proof of intruders after a security breach. The science can help wildlife institutions identify animals at night or help hunters see their targets. The science can be applied in many ways and the specific design determines where & how you’ll get the most use of your thermal imager. Below we look at some of the best Fluke designs that are usually used for building maintenance. The TIS10 and TIS20 are practically designed for inspecting any building. Each has a sturdy handle to angle it towards the piece of wall or roof you think may have a problem. You simply point and shoot so it’s remarkably easy to use. The unit incorporates a camera too which means you can capture images to share with others. This makes it practical for the professional arena where building inspectors may have to compile reports. 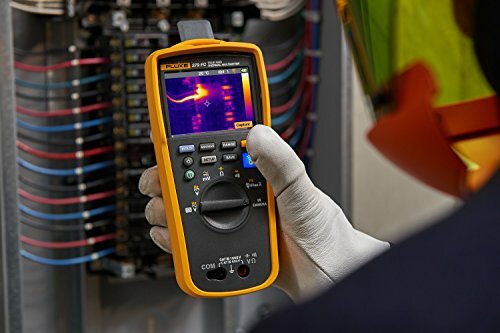 Sharing is made super easy thanks to Fluke’s Connect technology. This connects you via an app and you can even email images while still on site. Your team can view images in real time. For the one holding the device there’s a 3.5” LCD display which is large enough to see necessary details. With an 80x60 resolution, images are reasonably clear on the TIS10. If you require better, which is often the case in professional applications, the TIS20’s 120x90 resolution should suffice. Alternatively, you can store images easily thanks to the 4GB SD card, or use the 4GB internal memory. It’s not cheap, but with the range of applications and the problems its images can prevent from happening, it’s a worthwhile investment. It’s important to find a unit that’s relevant to your application. This entry level unit is what many responsible home owners invest in. At a much more affordable price than even the TIS10, the VT04 is a perfect addition to your maintenance equipment. It’s also small enough to fit your pocket or your tool chest at 10.8”x 8.5”x 3.5”. The brand also designed a soft case so the controls and screen don’t get damaged, making it very portable. The weight of 2.6lb is more manageable than some other models. Even this entry level unit has Fluke’s reporting software and an SD card slot holder where you can store thousands of images. 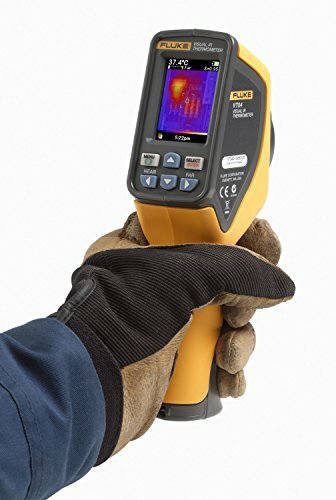 The VT04 is designed to be give you the benefits of a spot thermometer and an infrared camera in one. It’s a high quality device that’s easy to use with temperature alarms that help you locate problems. It does have some calibration problems, but for an entry level device it’s impressive. The more features you want the heavier your thermal imager will be, so these two weigh in at 3.5lb for the TIS75 and 6.6lb for the TIS65. However, the features are impressive and for professional use either of these can be a wise investment. When you’re working for clients or giving reports you need accuracy and clear pictures to gauge the seriousness of the problem. This is possible thanks to the exceptional image quality and resolution such as the TIS 75’s 320x240 which is one of the best resolution options on the market. Of course, you need durability for professional settings and the TIS75 was drop tested to still be functional after a 6ft fall. Features like the TIS65’s 5MP camera make these ideal to get insight into the problem at hand, and proof of the facts to show to clients or superiors. The IR Fusion technology also blends the visual and infrared pictures. This gives a much clearer idea of the space compared to simply using a thermal image representation. 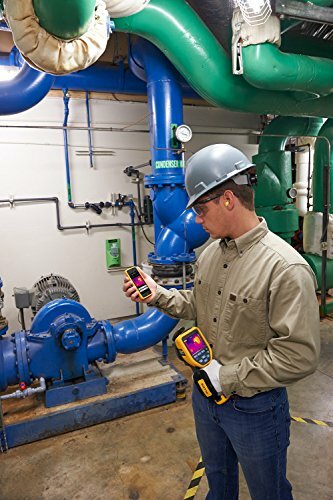 As with most Fluke devices you can use the Connect App and Smartview software. Of course, these are quite expensive, but they’re worth it in the long run. By placing two products into one casing it makes it much more effortless for electricians: less gear so you can move around easier. 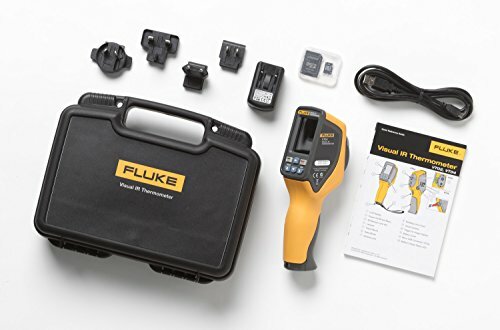 The imager is packed with many of Fluke’s impressive features such as Fluke Connect which will send data to a phone up to 20ft away. 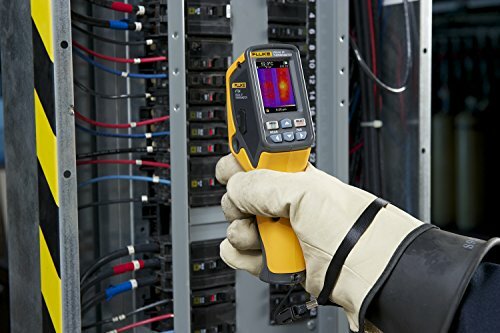 Now add the benefits of using a multimeter after looking for the problem area with the thermal imager. There are even accessories such as a flexible current clamp, the iFlex feature, to get into hard to reach places. This innovative combination of features is proof of how Fluke’s years of experience in the business helps clients find user friendly options. Here’s the question you need to ask yourself: Where will you use yours? 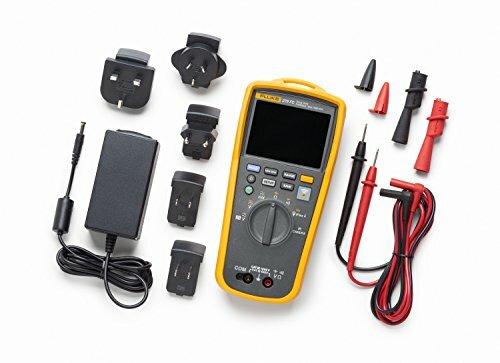 Of course, the Fluke 279EC is a handy tool for anyone since you have two devices in one. However, a simple entry level device is usually more user friendly for home owners. Need this to impress and help clients? Then the clarity of the images coming from the TIS75 is your perfect pick. Ready to become part of the Fluke family?